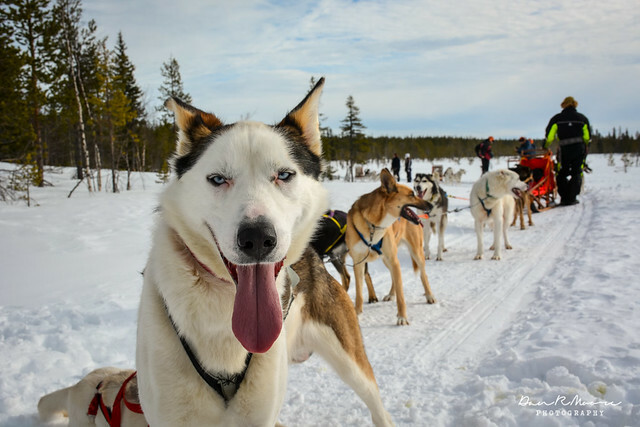 It might have been Lapland’s Northern Lights that initially caught our attention, but it was the chance to go dog sledding that proved to be one of the biggest determining factors for making the trip up north. Needless to say, we were eagerly anticipating our day of canine fun when we returned to the Aurora Guesthouse after our wilderness adventure. The day began with a short drive to Husky Holidays. A small family business, Husky Holidays is run by Birgit and Bruno—and the fifty husky dogs they call family. Birgit and Bruno not only know every dog by name, but they also know their personality, their strengths, and how the dogs interact with each other. Their special relationship with the dogs was evident from the moment we arrived, and we were thankful to have chosen an outfitter we could trust and respect. After donning the appropriate bibs and boots, it was time for our first ‘mushing’ lesson. 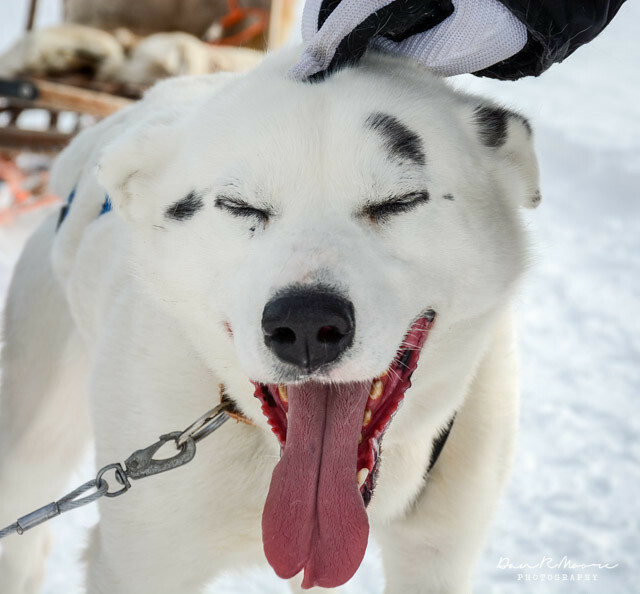 Musher: the driver of a dogsled. Birgit first demonstrated on a sledge the basic steps to driving, including how to break, slow down, and use our body weight to control the sledge. Though accidents rarely happen, they are possible, and it was important to clearly understand how to remain in charge at all times. 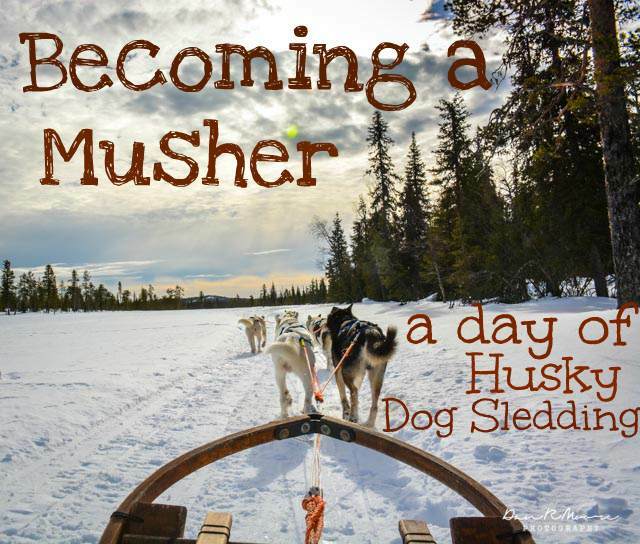 If the musher is not paying attention, the sledge could run over the dogs, leave the trail, or collide with another object. Husky Holidays takes sledding seriously, and unlike other husky outfitters, they have not had any accidents in over fifteen years of operation. After we felt we had mastered the basics to being a musher, it was time to hook the dogs up to the sledges. And this part? This part was terrifying. Husky dogs love to pull. 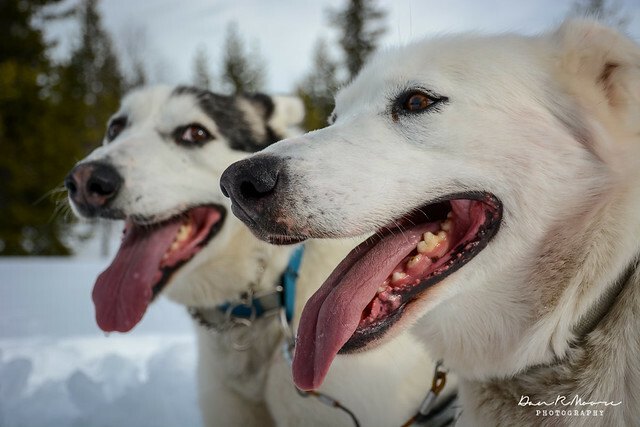 Before an expedition, they go a bit crazy, barking and tugging on the sleds in anticipation of the upcoming ride. Standing precariously on the back of the sledge, the earsplitting racket of the dogs making verbal communication impossible, all the while knowing that the rope is about to be unleashed and the power of the dogs released…well, let’s just say it made us second-guess how adorable husky dogs really are. Thankfully our doubts didn’t have time to linger. We were soon off, one sledge behind the other, Dan sitting on the front while I took the first shift as musher. The deafening barking ceased the moment we began to glide along the trail; the only sound was now the steady patter of the dogs’ feet upon the snow and the sound of the sledge gliding effortlessly behind. The huskies were strong and eager, and I continually had to ride the break to maintain a safe distance behind our friends in the sledge ahead of us. Though it took a few moments to get accustomed to, mushing proved to be surprisingly intuitive. We fell into a steady swiftness, enjoying the pull of the dogs and the surrounding peacefulness of the forest. After an hour or so, it was time to take a break so the dogs could rest and we could eat lunch. We spent some time petting the huskies, soaking up all the cuteness we could handle while they rolled around in the snow. We were at first surprised to see that some of the dogs did not look like the characteristic Siberian Huskies we knew. That’s because Birgit and Bruno train primarily Alaskan Huskies, which are not pure bred. Alaskan Huskies are thought to make the best sled dogs, both for their strength and endurance, as well as their love to pull! Though they might not all have blue eyes or black and white fur, they are just as loveable as their Siberian relatives. When it was time start our return trip, Dan took over as musher while I used the opportunity to relax a bit in the sledge. Riding past a glistening lake, it was easy to see the appeal of a multi-day husky safari. Though if I were to spend any longer bonding with the dogs, I’m not sure I would be able to say goodbye. It’s a lot of work to take care of and train so many huskies, but the reward certainly seems worth the effort. 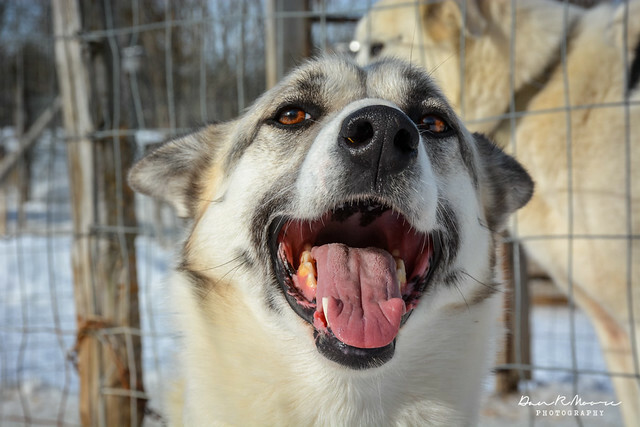 When we returned to the kennel, we gave our dogs one last cuddle before parting ways, knowing that though our time with the huskies had been short, our memories of dog sledding through Swedish Lapland would stay with us for much longer. 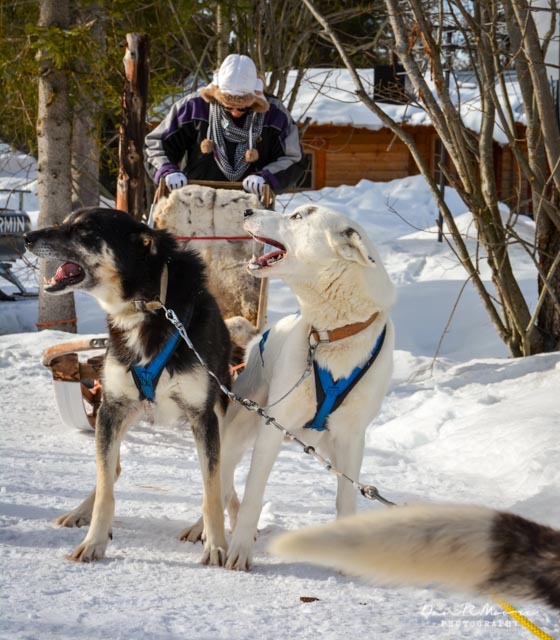 Want to get a feel for what it’s like to ride a dog sled? Here’s a short video clip of our day spent with the dogs! 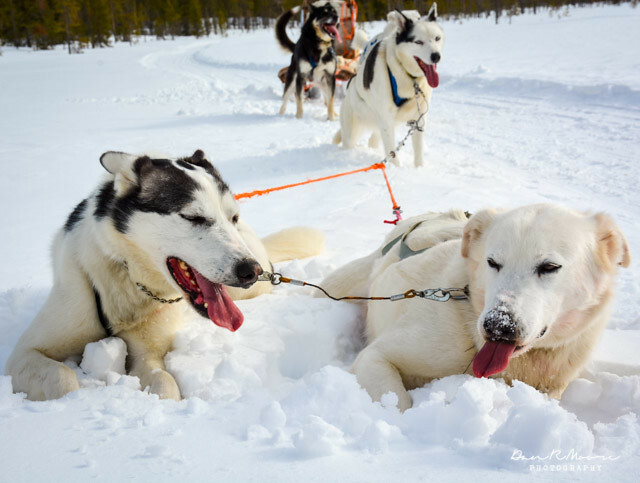 Husky Holidays offers a variety of dog sledding safaris. Visit their website to find out more information about the different packages available. 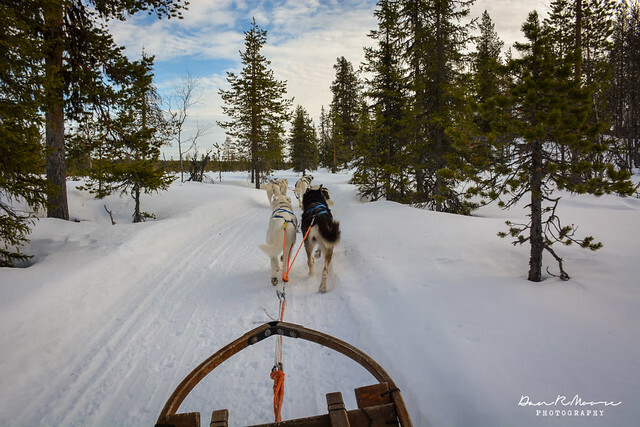 Additionally, Aurora Retreat partners with Husky Holidays to offer dog sledding in conjunction with their wilderness escapes. 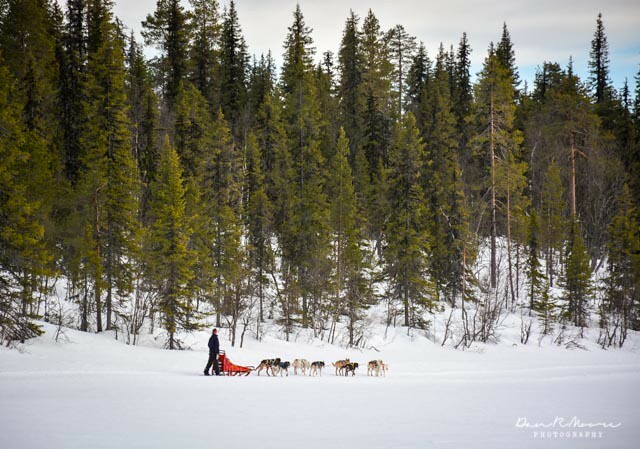 Have you been dog sledding before? Do you think huskies are as adorable as we do? Which doggie photo is your favorite? 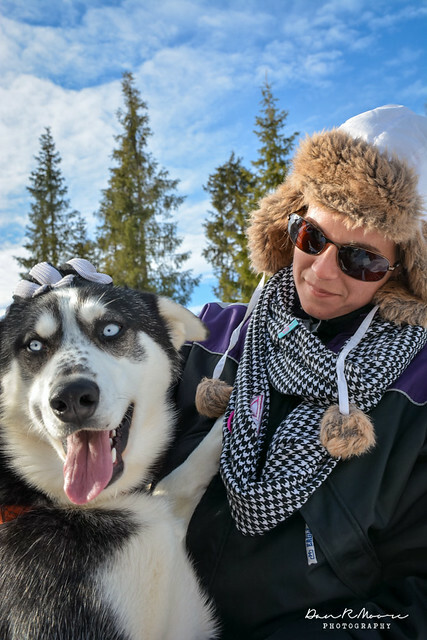 Thank you to Visit Finland for making our adorable encounter with the huskies possible. As always, all thoughts and opinions are our own. How cute are those dogs!? That looks like so much fun… but instead of doing the musing I’d probable just want to skip ahead to the roll around in the snow part :) I am such a dog lover! They really do love learning and showing that they are smart so I bet this is a lot of fun for them. I’ve always wanted to go dog-sledding…what fun! This is so high on my list!! I imagine it is a bit terrifying, but that adrenaline takes over as soon as the dogs start to pull. I love how excited they are to go! Wow, that’s one ride we want to try. Great vid. All in all, an excellent recommendation. I bet Norway was a wonderful place to go sledding as well!! A multi-day trip would really be amazing- but a lot of work haha! I stumbled upon your site and loved reading about your adventures. Too, cute! I also love sled dogs, Alaskan Malamutes to be specific. I grew up with a sled dog team in So California, of all places. Visit https://www.facebook.com/moddogboutique for a throw-back photo from 1966, sled dog racing in the mountains of Southern California. I am shocked that these wolf like creatures are dogs to pull the passengers. really useful and knowledge based post casey. What a interesting dog! I like Dog Sledding from long time, but I don’t have any change to own them. Your post is very useful for me, however, it provides knowledge about Dog Sledding. Sledding is a fun activity with your husky! This can be the great exercise for them, plus you are having some great bonding together. Perfect for husky lovers and adventurers out there. Yes! I love adventures like this that benefit both the animals and the adventurers. :-) Must agree that being able to bond with huskies like this is one of the best parts of the whole experience!